The parable of the unmerciful servant is a tough story: A servant who owes an impossible debt is forgiven that debt by his master, the holder of the note. Then, before the ink on the pardon is dry, he is out throwing his weight around and demanding that a fellow servant immediately settle up a relatively small debt. When he can’t, the first servant exacts punishment to the full extent of the law. When the master hears of this, he utters these words. ‘You wicked servant,’ he said, ‘I cancelled all that debt of yours because you begged me to. Shouldn’t you have had mercy on your fellow servant just as I had on you?’ In anger his master turned him over to the jailers to be tortured, until he should pay back all he owed. This is how my heavenly Father will treat each of you unless you forgive your brother from your heart (Matthew 18:32-35). We cherish the truth of God’s unconditional love, but it seems pretty plain that those who harbor deep-seated, on-going and unrepentant unforgiveness cannot experience God’s blessings or peace or love. Like the wicked servant, we have been forgiven the insurmountable burden of debt that we stood convicted of before a Holy God. That burden is gone (Psalm 103:12). We have been washed, sanctified and justified in the name of the Lord Jesus (I Corinthians 6:11) and we stand eye to eye and shoulder to shoulder with other fellow servants who can only be justified by Jesus Christ alone. The Lord’s prayer assumes an on-going loop exists between God’s forgiveness of us and our forgiveness of others. We are not talking about our works of righteousness. Forgiveness, it would seem, is the basic energy force of kingdom life, the core value of all believers and the most tangible manifestation of God’s love. Maybe you—like me—aren’t very good at forgiving. Maybe you struggle with the memory of a past sin that keeps coming back in spite of our best efforts to forgive. 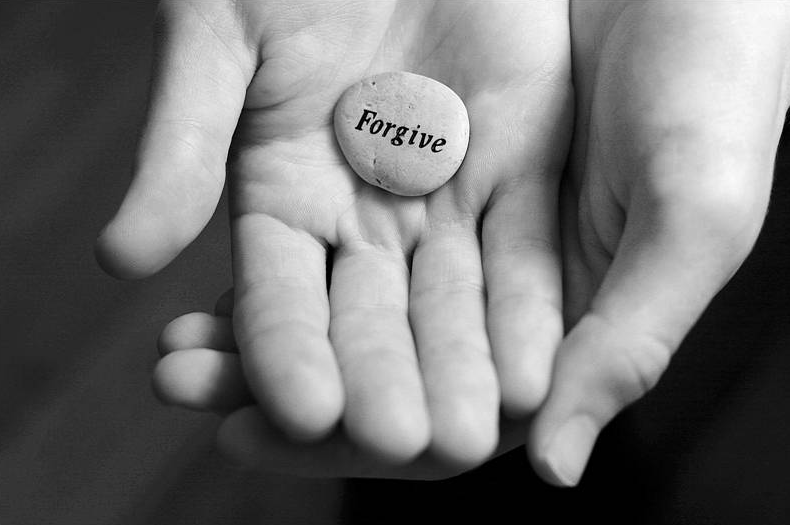 Only God will forgive in an instant; for most of us it is an acquired taste. Ask first for God to give you a heart that is tender and humble toward your “fellow servants.” The rest should be a lot easier.